NECA is on a roll with these videogame-inspired toys, though admittedly Godzilla looks a bit like he's decked out in camouflage here. 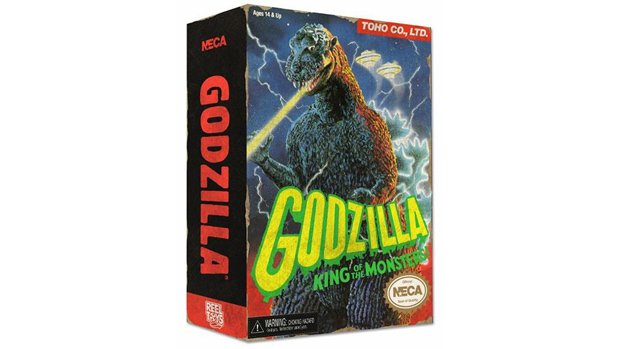 The 6" figure is modeled after Godzilla: Monster of Monsters, and it comes packaged in a cool faux-weathered box based on the NES game's cover art. It's expected to ship in July 2015, and pre-orders are open for $21.99. Don't make eye contact.